Broken Arrow Public Schools (BAPS) is deeply saddened by the news that Noah Schriner, a senior at Broken Arrow High School, passed away as a result of a car accident Friday night. 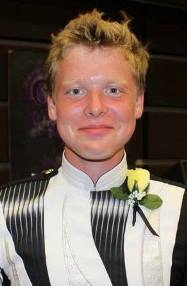 Schriner played the baritone in the Pride of Broken Arrow marching band and was also a member of the symphonic band. Tracy Fulps, a beloved member of the Broken Arrow community, was also killed in the accident. Fulps was an integral part of spreading Tiger spirit throughout Broken Arrow by founding the BA Youth Cheer and Youth Tigette programs as well as managing the Tiger Den, a licensed vendor of Broken Arrow Tiger merchandise. Schriner’s funeral is scheduled for 1 p.m. Wednesday at Whispering Hills Church of Christ, 21349 E. 111th St. Fulps’ funeral will be at 1 p.m. Saturday at The Assembly, 3500 W. New Orleans St. Please note “in memory of Noah Schriner” in the memo line.